While technology continues to be a blessing for businesses, it poses serious a side effect to organizations, i.e. increased security risk. Organizations relying on different systems like PCs, smart devices, and data storage facilities are constantly exposed to newer risks. Cyber criminals are busy developing creative ways to steal your critical business data and information. As such, it is crucial for you to have a reliable system security solution in place. System security covers all aspects of accessing your organization’s data and information that are stored digitally. Having a robust protection for your digital assets is a major element in ensuring sustainability and profitability of your business. Here are some reliable ways to enhance your system security. Be sure to keep exposure of your systems to cyber criminals at the minimum by placing limits on who can access what on your systems. This starts with the planning and designing of your systems. Purge any un-called for access to your hardware and software, so the points of system breakdown are reduced. Limit the privileges of users to only the required systems and programs. Always use unique email addresses, login information, and username for each user. When you feel that a change to your systems is inevitable for your business, always use the change management best practices to jettison any system security risk. Make sure to test a new mechanism with a matching framework as the production scheme before rolling it out on your core infrastructure. Doing so will help you check the reliability and security of system changes before taking the improved systems mainstream. Practice this procedure in case of all system updates like patches, system code change, and feature alteration. You will get an idea about the required system downtime, identify security risks, and come up with effective solutions beforehand. It will also prepare you for any unforeseen event. Always keep track of who made changes to a system, what changes were made, when, and why and how were those changes made. This is a very critical step in enhancing your system security. Use a log aggregation service and have a system security solution and event management mechanism in place to perk up your system security. Remember, upholding privacy, truthfulness, and accessibility are core elements of system security and using system logs will help achieve just that. This will also help you during a security audit. Boost your system security by identifying and classifying the data by type. You must be aware of what data you have, how and where it was captured, where it is stored, and what processes are in place to protect the data. Organizations always have some critical data. They must be classified as confidential. There are always other types of data that should be classified as a directory or public information. Be sure to prioritize your data and have a robust security in place for the confidential data. Provide your systems an additional layer of security by implementing patch management. All software need routine updating and maintenance to deliver peak performance and keep your systems secure. Software manufacturers continuously identify loopholes in their solutions and release patches, updates, or service packs to close the loopholes. Not implementing the improvements can leave the loopholes open for hackers to exploit. While this might seem like a duck soup, many hackers accomplish their criminal activities because of weak system passwords. You must be sure to secure your systems with unique usernames and stronger passwords that are keyed to particular users. A stronger password is the one that is longer and is a mixture of numbers, symbols, special characters, and upper and lower case letters. Never use common words in your passwords. Also, be sure to encrypt your master file that contains all usernames and password records with a passcode. Even though reprobate cyber criminals get most of the attention, most unauthorized system intrusions and data breaches happen from within your organization. A disgruntled employee with access to critical data on your system can be far more dangerous than a remote hacker. To decrease your risk, make sure to run a background check on your system users. Extreme vetting and screening should be in place for users who would have access to data and information critical to your business. Numerous system security breaches happen due to the carelessness and error of employees. You should nurture an organizational culture that accentuates system security via continuing education and training. You must train your employees in creating stronger passwords, using systems and networks carefully, identifying risks and loopholes, and informing the cyber security team in case of suspicious activities on the systems. Make sure to educate your employees to avoid downloading unsolicited email attachments because it simply multiplies your risk of possible virus, malware, ransomware, and Trojan attacks. Never open emails received from people or addresses you don’t know. Phishing scammers send emails from seemingly trustworthy contacts, asking for critical information like usernames, passwords, and personal data. There are scammers who send links in emails that would infect any system that accesses the link. Cyber criminals also direct possible victims to fake websites and capture their important data. Educate your employees as to how they can spot a fake website or link by simply looking at the URLs. Even though this might seem like a no-brainer, your choice of antivirus is critical to your system security. Free antivirus editions are not enough to ensure your security. 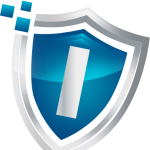 You need to always have premium and updated antivirus scanners on all of your systems. This will go a long way toward enhancing your system security. Also, do your research before selecting an antivirus software. Routine, planned backups can save you from the unforeseen. Be sure to continuously backup your system data, so you can retrieve them in case an attack or security breach happens. Doing so will drastically decrease your damages. A backup of your critical business data will always let you breathe a great sigh of relief and achieve the peace of mind you deserve. Just imagine cyber criminals manage to wipe out the data from your systems. Nightmare? Your most recent backup will let you restore more than 80 percent of your data. Being paranoid is not always a bad thing, especially when it comes to ensuring system security. Scrutinize and fragment everything related to your security, including business names, logos of your vendors, financial institutions you deal with, your digital footprints, sensitive reports, and system information. Never expose anything important unnecessarily even to your trusted employees. While you may gain a reputation for being paranoid, but a suitable amount of paranoia could ward off major system security breaches.